Improved operational visibility, driver efficiency, less environmental impact and a better customer offering – who says you can’t have it all? 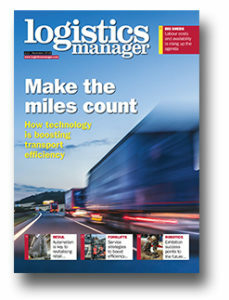 We explore the benefits of telematics and routing and scheduling systems. Retail markets are changing rapidly, but how is warehouse operation responding? We investigate whether automation is the solution to retail’s challenges. Robotics promises to be an even bigger issue in 2019 after the success of the Robotics and Automation Exhibition which has just taken place in Milton Keynes. Forklift service and maintenance is essential for safe operation, but it can also improve the efficiency of the operation. Labour cost and availability has risen up the agenda for occupiers. We investigate just what that means in terms of the location and type of warehouse to look forward to in the future.